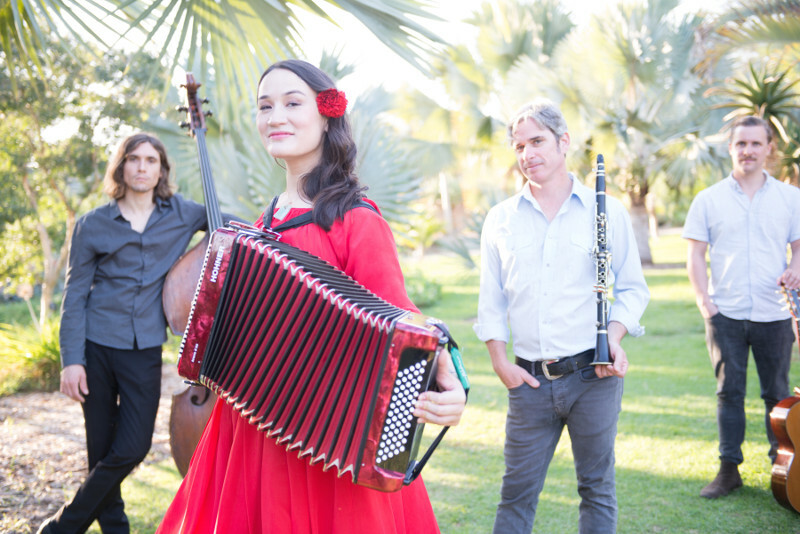 Accompanied by her accordion, toy piano, and fiery band, singer/songwriter Jessica Fichot draws from her French/Chinese/American heritage to create an intoxicating program of French chanson, 1940s Shanghai jazz, gypsy swing and international folk. With 3 acclaimed albums under her belt, Jessica sings her multi-lingual lively songs and covers at concert halls and festivals in China, Mexico, Canada, the US and Europe. Featuring scorching performances from her bandmates on clarinet/sax, upright bass and guitar, a Jessica Fichot concert is a dazzling trans-world journey!